Nissan had dominated Saturday’s qualifying with a new lap record, but the wet conditions that prevailed on Sunday played into the hands of the Honda runners. 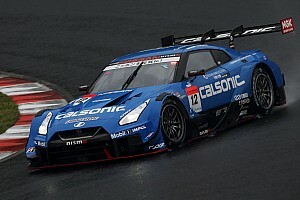 Defending champion Naoki Yamamoto was immediately on the move when the race - which had started under the safety car - turned green on lap 4, seizing second position from Impul Nissan driver Daiki Sasaki at Turn 1. Soon after, the safety car had to be deployed again after the #25 Tsuchiya Engineering Toyota spun at Turn 1, taking the similar 86 MC of Team Mach along with it. A long intervention followed before racing resumed on lap 10. Once again, Yamamoto was on the charge after the restart, passing the pole-sitting NISMO Nissan of Ronnie Quintarelli around the outside of Turn 1 to grab the lead in the #1 Kunimitsu Honda he shares with Jenson Button. Behind, Koudai Tsukakoshi of Real Racing also starting moving towards the front of the pack, overtaking both the Impul and NISMO GT-Rs to establish an early 1-2 for Honda. 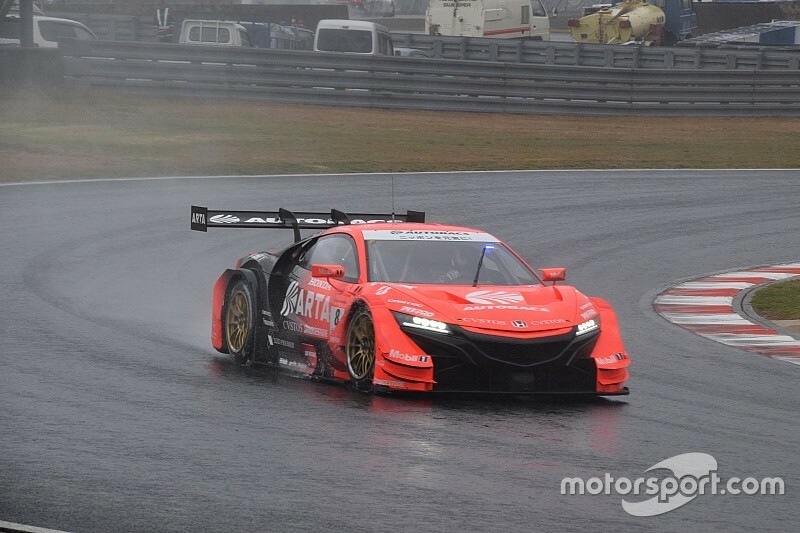 Just as the Hondas started extending their advantage at the front, several GT300 cars crashed at the Moss S corner as the rain intensified, bringing out the red flags. 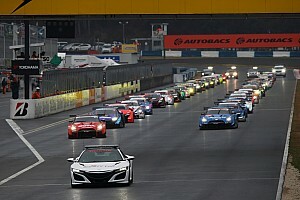 The race was halted for over 45 minutes and resumed behind the safety car, with the race finally recommencing lap 20. 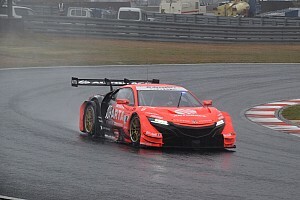 The Honda runners continued their charge, with ARTA driver Takuya Izawa crucially passing NISMO man Quintarelli for third position. Up ahead, Tsukakoshi attempted to pass Yamamoto on the outside of Turn 1, only to clatter into the Kunimitsu driver and leave him beached in the gravel. 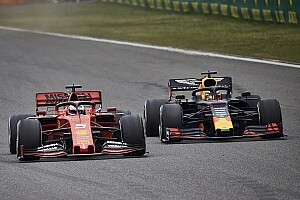 Tsukakoshi was able to hold onto the lead despite the contact, while a safety car had to be called in to retrieve the stricken car of the reigning champion. With the help of the marshals, Yamamoto’s car was pushed out of the gravel and he was able to rejoin the race a lap down. 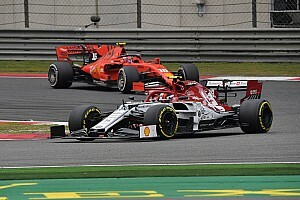 But with conditions worsening, the safety car remained on track for several more laps, until the race was stopped again. 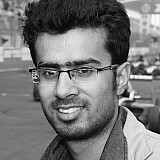 A decision to not restart the race was taken soon after, with the results declared on lap 31 and half-points awarded. The entry Real Racing entry of Tsukakoshi and Bertrand Baguette which had been leading the race at that point was handed a penalty for their incident with the Kunimitsu Honda, dropping them second-to-last. That meant ARTA pair Izawa and Tomoki Nojiri were declared the winners, with Quintarelli and Tsugio Matsuda finishing second for NISMO. The podium was completed by the Impul Nissan team of Sasaki and James Rossiter. GT300 honours went to the #96 K-Tunes Lexus RC F GT3 of Sena Sakaguchi and Morio Nitta after Nitta passed the polesitting #55 ARTA Honda NSX GT3 of Shinichi Takagi early in the race.